Civil Liberties Australia Inc’s electronic Annual General Meeting for 2016 has concluded, with a ‘turnout’ overall of about 59%, voting overwhelmingly to accept the formal reports and the financial report. The voting is reported below. Many people made comments, and a representative sample of the comments are also reported below. This notice comprises the ‘report’ and ‘minutes’ of the Annual General Meeting for those who voted electronically. People who voted online will receive a hard copy of this information. 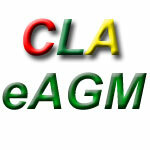 CLA’s electronic and postal Annual General Meeting for 2016 has concluded, with about 59% of members voting, which is 1% down on the 2015 percentage, but up on 2014. Some 40 members made comments, the vast majority positive, which is about the same number as in previous years. Please remember that members can comment at any time online, or can contact the president, secretary and/or board members throughout the year whenever they would like to. There were 265 members eligible to vote who received an electronic voting token by email, or a posted physical ballot paper. Members are scattered throughout Australia, with at least 10-12 living or long-term travelling throughout the world at any one time, hence the need for an electronic AGM rather than a physical meeting. A total of 156 members voted in 2016, comprising 58.9% of those eligible to vote. In light of small numbers voting in other organisations, the Civil Liberties Australia Board of Directors consider this percentage a good result indicative of a generally well-engaged membership. The 2016 Annual General Meeting is hereby declared closed. Great initiatives on improving justice. On a related issue, I’d like to see you delve into the workings and considerable failures of the reckless beast that is ICAC in NSW. Unfortunately the more power successive governments hand over to this supposed watchdog, the more disappointing its performance and social dividend for taxpayers. There is a lot we can learn from ICAC about how not to do things. At present, one of the most pressing areas of need would have to be the resourcing of the office of the Inspector of the ICAC, David Levine, who in his short time in the role, has made an outstanding contribution to highlighting some of the many serious operational and cultural issues ICAC has. Mr Levine, however, is hamstrung by the limitation of his powers to act. They need to be broadened so he can give ICAC the heart surgery it urgently needs. 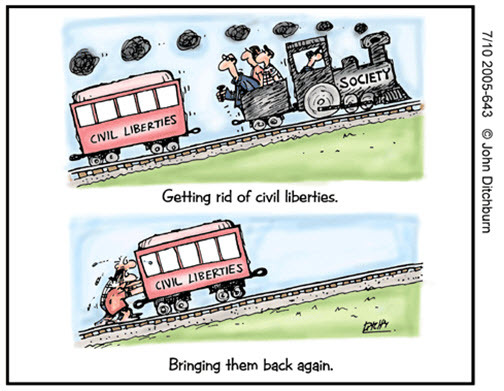 I think Civil Liberties are under greater threat than since the 1950’s and we (CLA) are currently pretty ineffectual. Congratulations on your lobbying which helped to bring about important further right to appeal legislation being introduced into Tasmania in recent times. Many thanks to the hard working Executive of this important association. I, like perhaps many Australians, had never really understood the real and necessary role and importance of CLA (primarily because of the negative way the media and Parliamentarians often reports on/comments on their efforts), until I, already concerned how Australian and State Governments seemed to be bringing in laws that could be used to restrict freedoms and in the wrong hands, used to set up dictatorships, witnessed the inequities, and almost police state laws and bodies that have absolute power and are able to completely ignore legal requirements, hold court reminiscent of a police state, and severely restrict a person’s ability to defend themselves. Given the above, I enquired about what CLA’s actual aims are, and will be working to increase public knowledge and the need for people to become aware of CLA and join and so add their voice. I guess I became aware of the dangers when Justice Jones came to the University where I was studying and addressed us and said, ‘If you don’t fight the anti-terror laws being proposed, they may be used against you in the future.’ I voted as I did, after reading the accompanying reports. CLA is an important voice in our security conscious society. 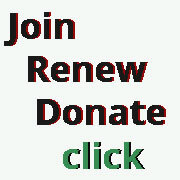 CLA is an important organisation, one that I support, even though I am not an active member of it. NEGATIVE comment on the mailed-by-post report material: the Minutes of previous eAGM, President’s Report, Annual Report including Treasurer Statement) It’s roughly 8000 words and takes 40 minutes to read at the common average rate of 200 wpm). It’s content is unclassified and minimally captioned. You need to completely revise your entire method of presentation for reader convenience. I simply don’t have time to make sense of your current presentation, and without any change will not continue my support. Congratulations on CLA’s ‘Don’t Patient Me’ Campaign as indicated by the High Court last year (2015). 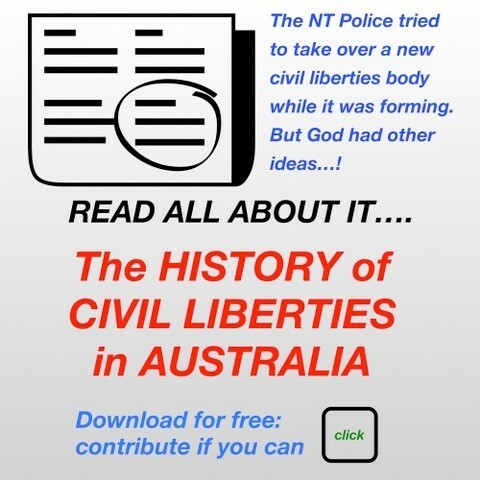 Support CLA’s renewed efforts on a Bill of Rights for Australia. – Melissa Parke MHR WA. Well done on another fantastic year of advocacy! I think the CLA is an organisation which acts as a watchdog for sound social values of egalitarianism and fairness in the exercise of so called ‘justice’. I have to say I was really incredibly impressed with all the work done over the year in so many areas, not least the increasingly draconian legislation proscribing individual action more dramatic than a vacant stare and the economically nonsensical “free trade” agreements . And the quote from ‘Through the Looking Glass’ continues to serve a very important purpose as a descriptor of the struggle. Everything seems to be going along fine. All good, thank you for your work. Love the CLA. Carry on the good work (…and a dozen other comments like these, plus…) It’s great to see dedicated people taking on these issues for all of us, Congrats and thanks for all the hard work you guys do. Excellent work! Thanks for all you are doing. I fully support the President and appreciate the excellent efforts of the committee. Great to see justice being such an important part in so many aspects. I am truly impressed by the coverage of the CLA. It is truly a invaluable organisation. I support fully the work the CLA is doing and have full confidence in the present committee. I am a newish member and this is the first annual report I have read. What an amazing job such a dedicated executive does and with a relatively small overall membership. I was really surprised to see there are only approximately 300 members. I am not legally trained but am very grateful that such a qualified team is doing such a great job. Thank you. I commend the work being done and regret that, with my extensive U3A commitments, I don’t have time to contribute. Best reports-eAGM to date CLA 2015. Keep up the good work 2016. In my view the person nominated (for Australian of the Year) was not of the right calibre for the job. But I cannot agree with Prof G Triggs (getting the role): there are many other than both these candidates. I am proud to be a member of CLA as I consider your work as inspirational. I am hoping that humanity, empathy and equal rights will return to this country in the near future especially in regard to our First Peoples, with a Treaty long overdue, and the permanent closure of our offshore ‘gulags’ so we can hopefully regain some pride in this country once again. Thank you for your work. Good year of achievement. Well done to the Board and the mainstream volunteers. 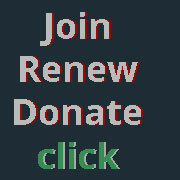 Wish I could do more personally, but I am very grateful and supportive of those members who can, and do. I very much appreciate the effective lobbying efforts. It fills a vacuum. – Laurie Ferguson, MHR NSW. Excellent report. Keep up with your good work. Pleased to be a member of this great organisations, Very impressed by the calibre of the people involved. Asylum seekers should one of our priorities – they have no civil rights. The CLA Board of Directors are to be commended for their attention to the increasing erosion of long-established civil-legal rights and traditions. The need for a Bill/Charter of Civil Rights, “cast iron” is becoming imperative as Australia is heading towards Autocratic Governance.